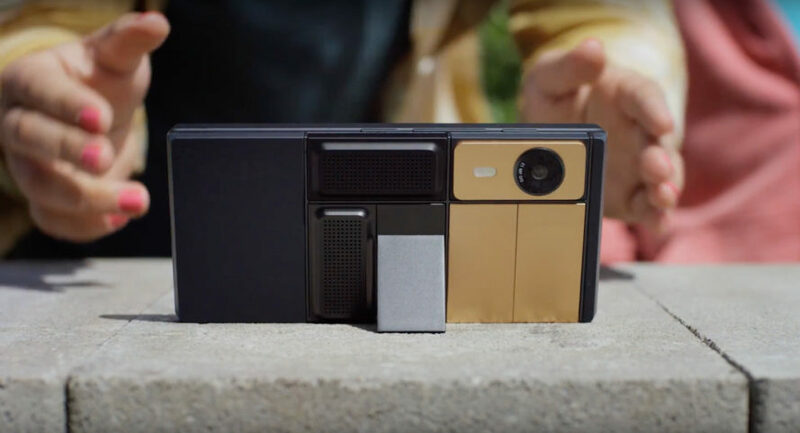 A few years ago Google proposed a modular phone made of components that could be easily swapped out and upgraded. Luckily for consumers sick of buying a new phone every year, Google just green-lit the Project Ara smartphone – and it’s set to ship out next year. Google announced that Ara would actually see the light of day at their recent development conference. The latest model features a frame with six slots for different hardware modules, which snap into place like LEGO bricks. Rafa Camargo, engineer for Google’s Advanced Technology and Projects group, demonstrated the camera to a captivated crowd, stressing how it can be used immediately after snapping into place. The phone also features a voice command to eject the modules when you’re done. Google has enlisted partners to develop modules that provide a wide array of functions ranging from cameras, speakers and microphones to sensors, radios, graphic accelerators, and even a glucose meter. Samsung, Panasonic, Sony, Toshiba, Micron, and iHealth are just some of the players setting the stage for Ara’s spectrum of functions. Having removable pieces to swap in and out makes the Ara phone endlessly customizable and much more affordable to upgrade, when compared to buying a whole new smartphone. According to Forbes, a developer edition will be available this fall and a sleeker, thinner consumer edition will be ready to go next year. The Google Ara phone features a modular design, with cameras, speakers, microphones, and more that snap into place. The modular smartphone will be available to consumers next year. According to Forbes, a developer edition will be available this fall and a sleeker, thinner consumer edition will be ready to go next year.